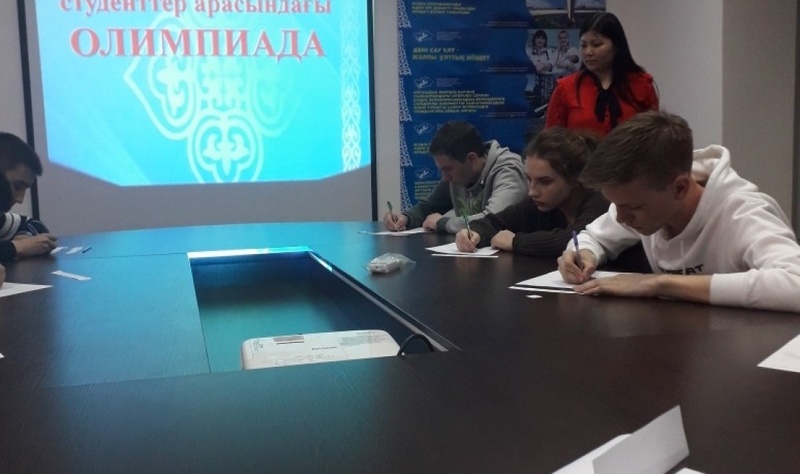 The 17th of April, 2019 at 15:00 hours in the main building of the Institute, in the classroom 244 teacher of the Department IiSGD N. Mukaeva held an annual «Olympiad» in the Kazakh language for 1st year students of the Russian Department. 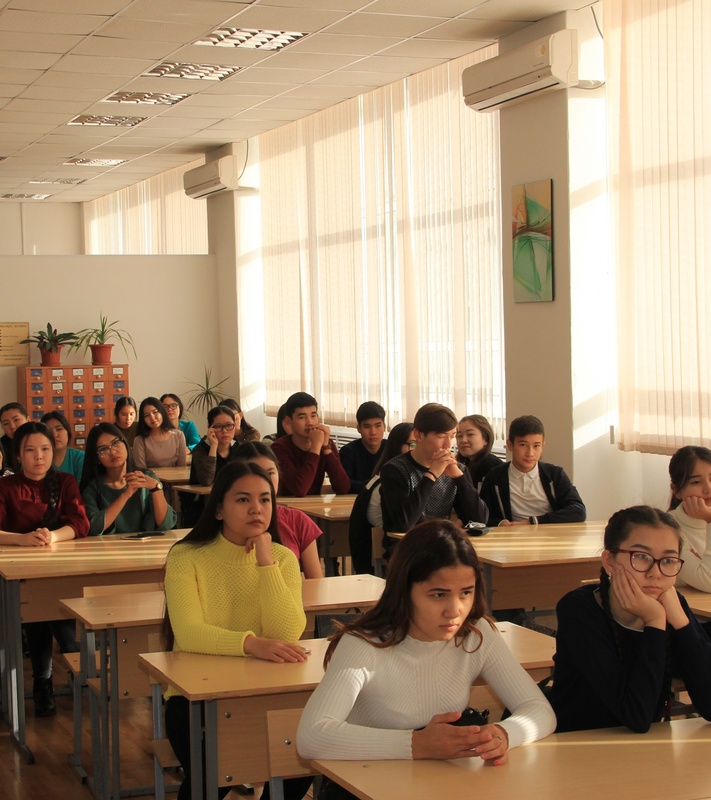 The main purpose of the Olympiad is the development of creative abilities of students and the development of interest in the Kazakh language, the identification and support of gifted and talented students. The Olympiad was held in the III part. Part I-reading literacy, part II-grammar, Part III – resourcefulness and wit. The decision of the Commission the I place was taken by student group AU-18 Zell Denis, II place-student of group EE – 18 Beletsky Sergey, the III – place: student group AU-18 Galanin Alexander and student group BJ-18 Lapteva Elizaveta. 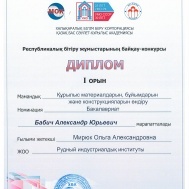 The winners of the Olympiad were awarded diplomas on behalf of the Department. 16th April at the gym of Rudny industrial institute was held the volleyball competitions among young men of 1-4 courses. Game meetings between the teams of students were intense and interesting. Congratulations to the team “Faculty of Economics and Civil Engineering “, which took first place in the competition. 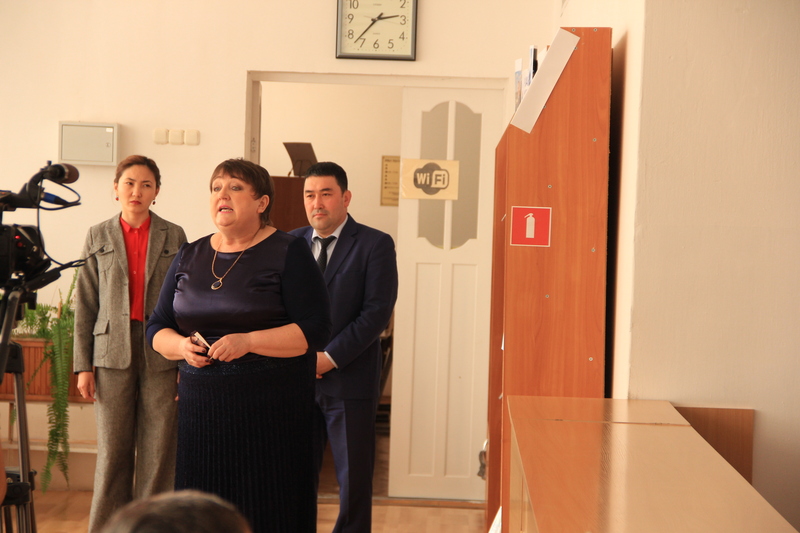 The second place was taken by the «Mining and Metallurgical Faculty » team. The third place was taken by the « Faculty of Energy and Information Systems » team. 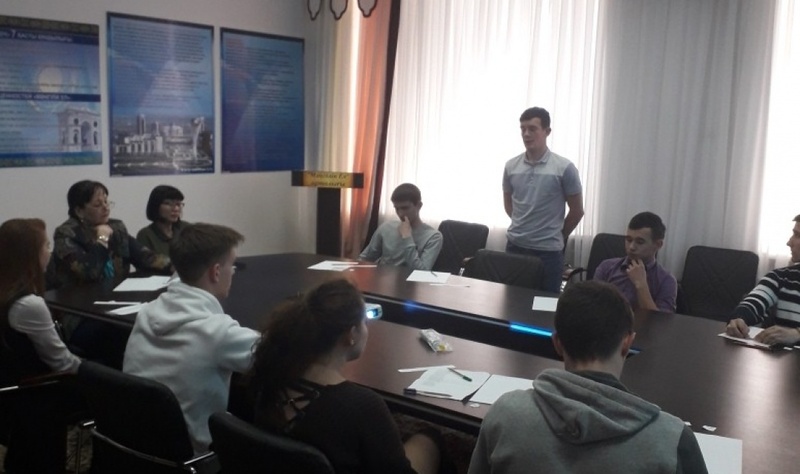 The contest “The best scientific article” (among young scientists) was initiated by the Council of young scientists of the Rudny Industrial Institute. This proposal was supported by the leadership of the Institute. The competition was held in order to increase the scientific and publication activity of talented young people, the selection of the best scientific works for publication and participation in external competitive scientific events. The contests were held in two stages. At the first stage, the direct collection of works of participants was organized. At this stage, 18 works were submitted. The collected works at the second stage of the competition were peer reviewed. To do this, a Competition Commission was formed from among the leading scientists of the RII. 3rd place – Nurmagambetova Gulmira Turmanova, lecturer of the Department of engineering and socio-humanitarian disciplines, master of Humanitarian sciences. 3rd place – Sultanbekova Gulnara Islamovna, lecturer of Department of electric power engineering and heat power engineering, master of Natural sciences. The winners received honorary diplomas. We wish our young scientists scientific inspiration, new discoveries, bold projects and creative ideas! 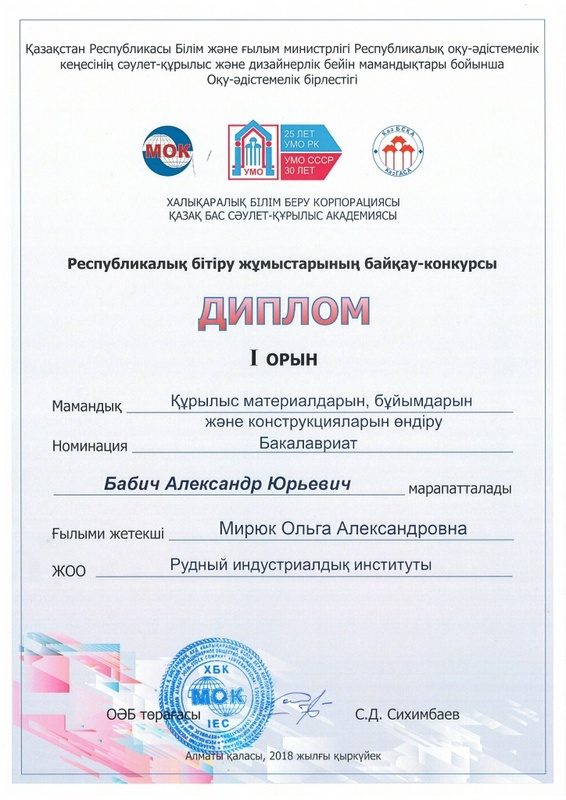 Every year the Educational-methodical Association of the Republican educational-methodical Council of the Ministry of education and science of the Republic of Kazakhstan on specialties of architectural and construction and design profiles holds the Republican review competition of diploma projects. Thesis graduate 2018 the specialty «PRODUCTION of BUILDING MATERIALS, PRODUCTS AND DESIGNS» by Alexander Babich on the theme «Development of technology of porous aggregate with research influence of the composition of raw blend on the formation of structure of calcined granules» took 1st place in the Republican contest. 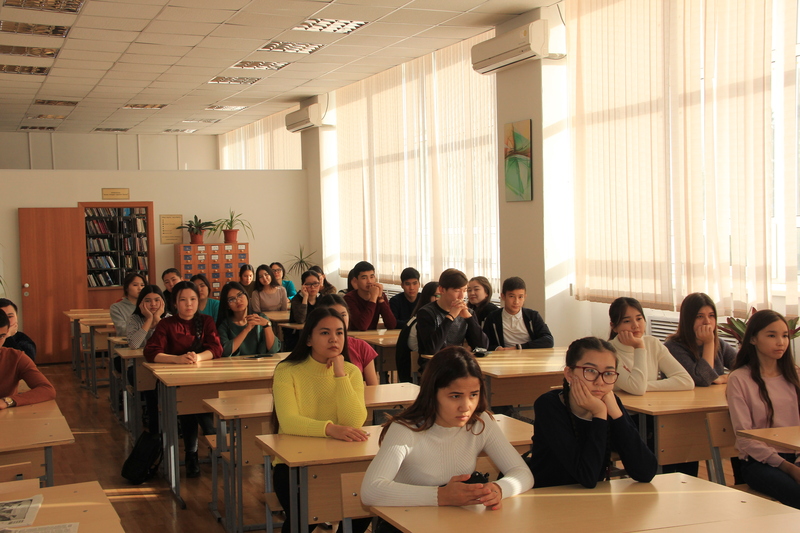 On November 1st, 2018, the information and library department hosted an excursion for pupils from school No. 15 of Rudny. 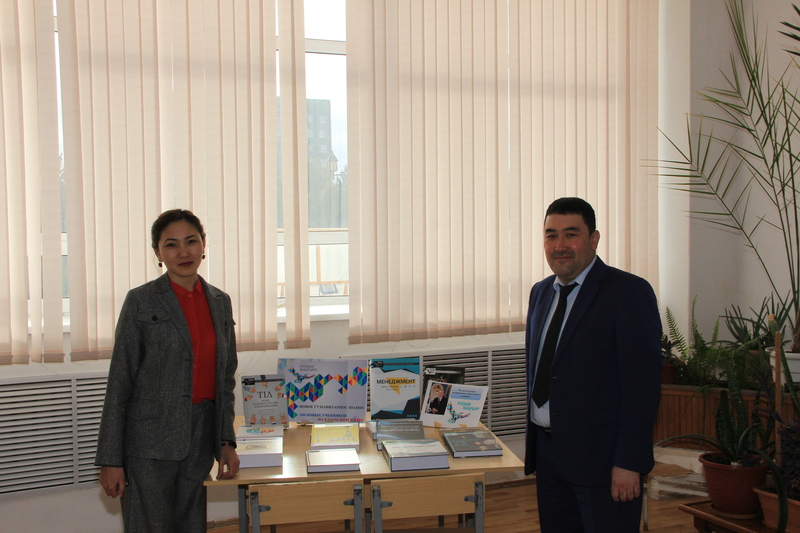 There were represented books translated into the Kazakh language within the framework of the project of “New humanitarian knowledge. 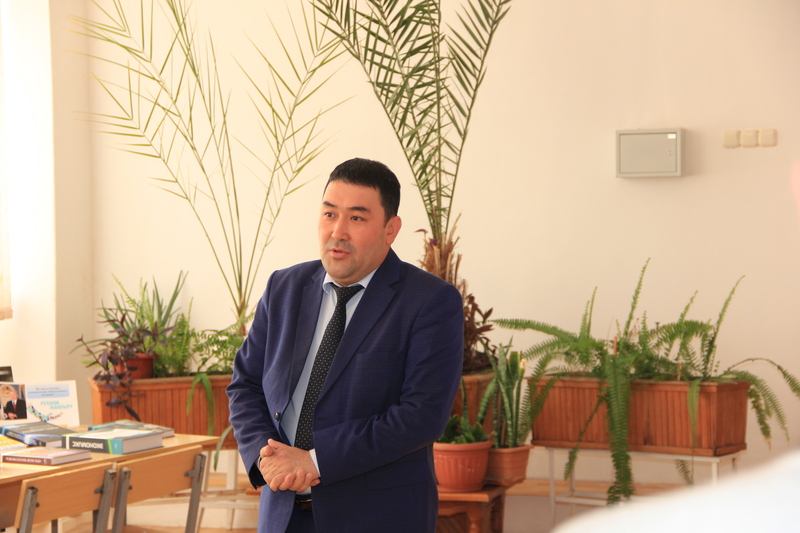 100 new textbooks in the Kazakh language”. Academic staff of Engineering and Socio-Humanitarian Disciplines Department and Economics and Management Department was invited to participate in the event. D.S. Akhmetov, Head of Department of Economics and Management, and G.T. 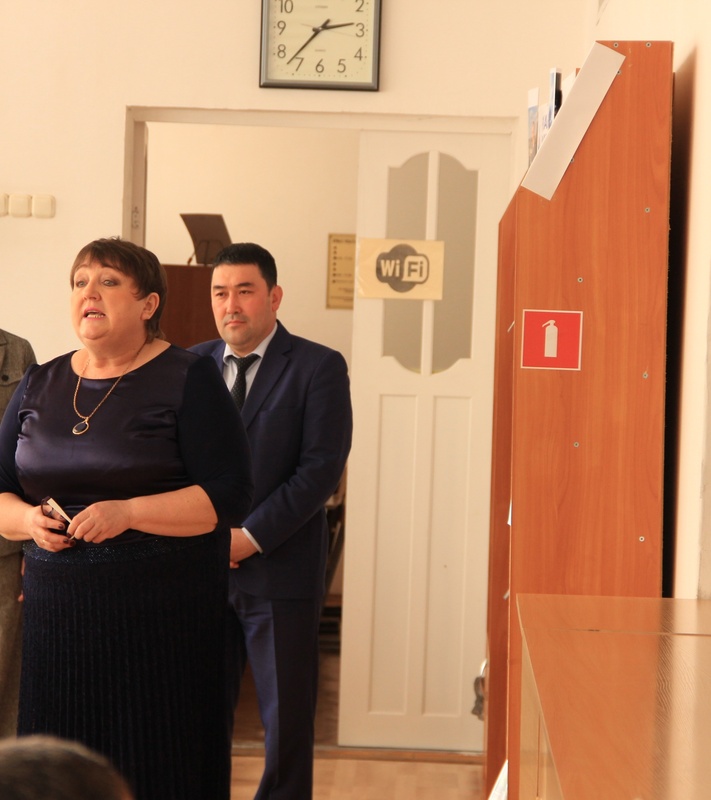 Nurmagambetova, teacher at ESHD department presented the books. In their presentations, the teachers emphasized content and value of these books. 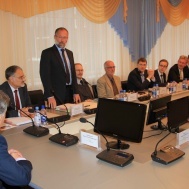 They noted the importance and necessity of the project. Schoolchildren were actively asking their questions during the meeting. 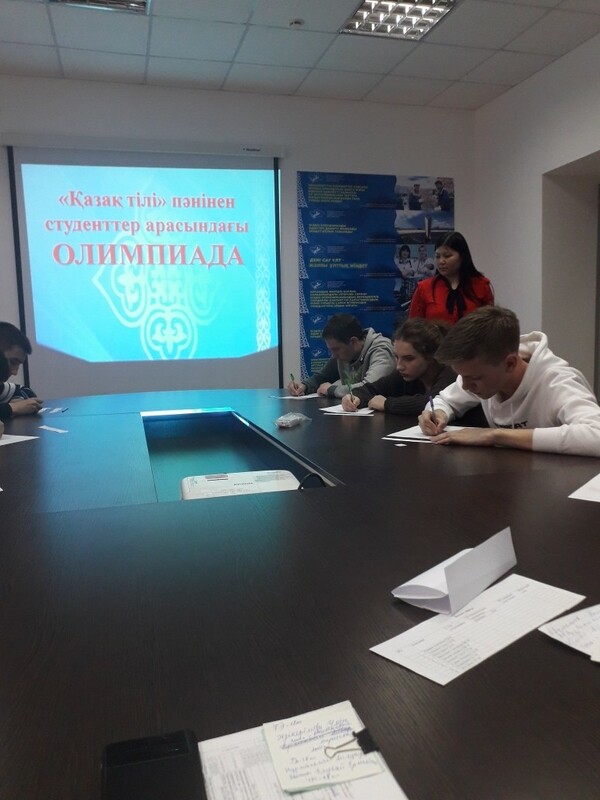 Career guidance work was also carried out during the event; students were told about benefits of studying in Rudny Industrial Institute. The British Council jointly with the ‘Science Fund’ and supported by ‘Chevron”, is holding a national competition for young scientists in the format of the international competition FameLab. This competition is one of the largest contests of scientific communication and is held in more than 20 countries in Europe, Asia and Africa. If you think you can explain the scientific concept to the general public in English for three minutes, then why won’t you take part in the competition? You can become a new face of science, represent Kazakhstan in the final of the international competition FameLab in the UK and open the door to the world of opportunities in the field of scientific communication! 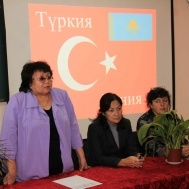 10 finalists will be selected under the first stage of the competition in Kazakhstan. Each FameLab finalist will receive a guaranteed prize in the form of a master class in communication skills and performances in Astana from one of the world’s leading communications experts. At the master class, they will learn why it is important to interact with the public, acquire invaluable skills in presentation and work with the media and will have the opportunity to establish contacts with scientists representing different areas of research! The winner of the national competition will visit the traditional science festival in Cheltenham (Great Britain) and will take part in the international final of FameLab in the summer of 2019. The competition is open to anyone from 21 to 40 years old who works or is being educated in technology, engineering, medicine, biology, chemistry, physics or mathematics. Applications are accepted from both private and public sector workers. 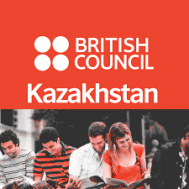 To participate in the competition, you must submit an online application, which will be available on the website https://www.britishcouncil.kz/ru/famelab until November 30, 2018. 2. We shall send you an email confirming receiving of your application and will provide additional information and further actions. 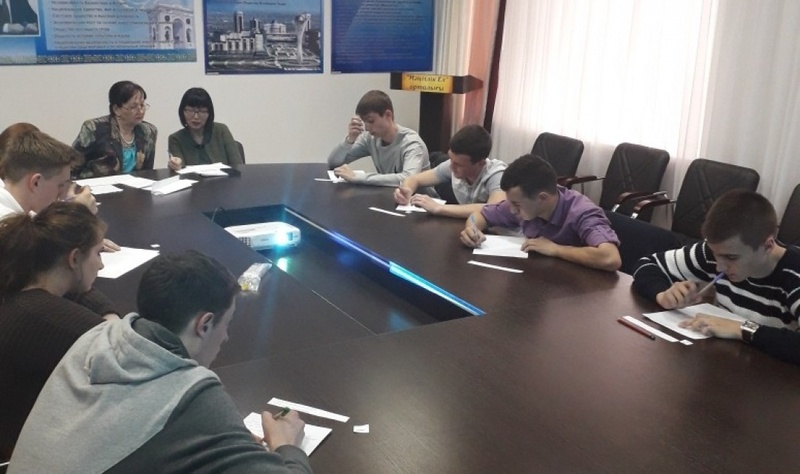 The youth branch of “ZhasOtan” within the party of “NurOtan” in the period from October 19th to November 30th, 2018 is planning to hold a national competition for innovative projects “NURINTECH”. 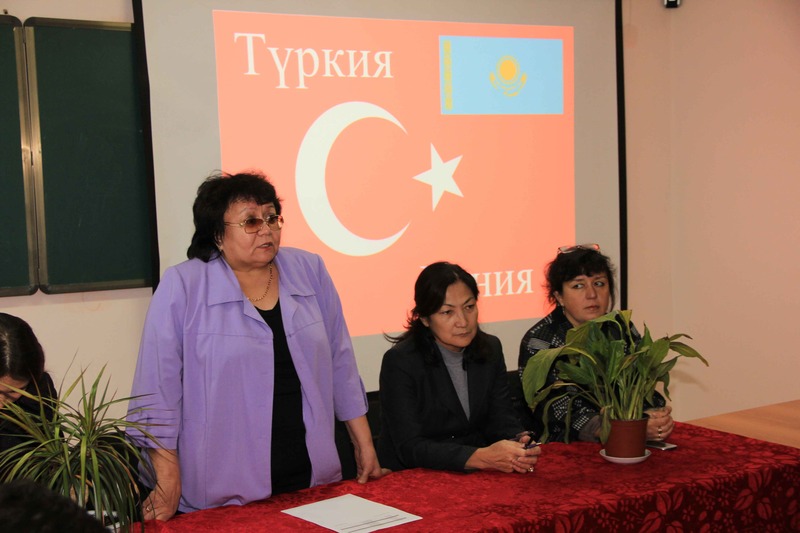 The project is being implemented due to the initiative of Nursultan Nazarbayev, Head of State, Chairman of the NurOtan Party. The competition will also facilitate participation of innovative projects at the republican level. The goal of the project is development of the best projects and technologies aimed at the sustainable development of the country’s economy. Youth up to 29 years old can take part in the project. The prize fund of the competition is more than 5 million tenge. September 22nd is declared the Day of languages of people of Kazakhstan by the Decree of the President of the Republic of Kazakhstan. 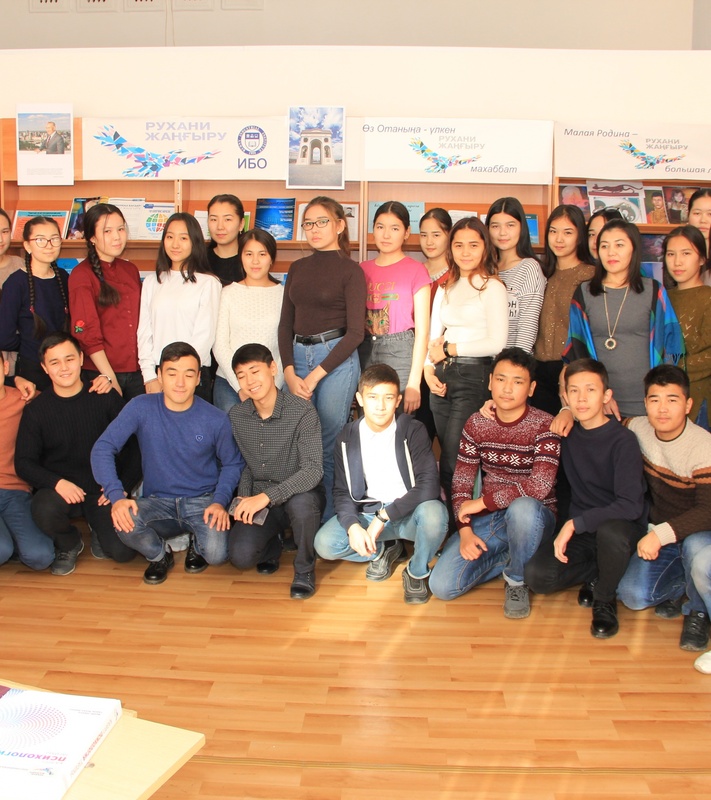 Members of the club «Kazakh tilinin zhanashyrlary» organized an intellectual competition «Til – bizdin tiregimiz, sogyp turgan zhuregimiz» in the museum of Rudny Industrial Institute in the framework of celebration of the Day of Languages of people of Kazakhstan. The participants were students enrolled in engineering study programmes. The competition consisted of 4 rounds. The aim the game was to support and develop multi lingual education. Multi lingual education is one of the main areas of human development. Nowadays, it is impossible to imagine people speaking native language only. Actually, there are no countries in inhabited by representatives of only one nation. Multi lingual education promotes adequate functioning of any multinational state. Students demonstrated their proficiency in English, Russian, Uzbek and French. They showed their musical talents, played musical instruments, sang and danced, performed their own poetry between the rounds. 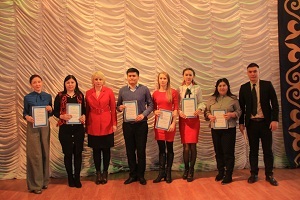 The 1st place was awarded to «Alash Orda» team, 2nd place to «Energy» team, 3rd place to «Ulan» team and 4th place to «Zhalyn» team. 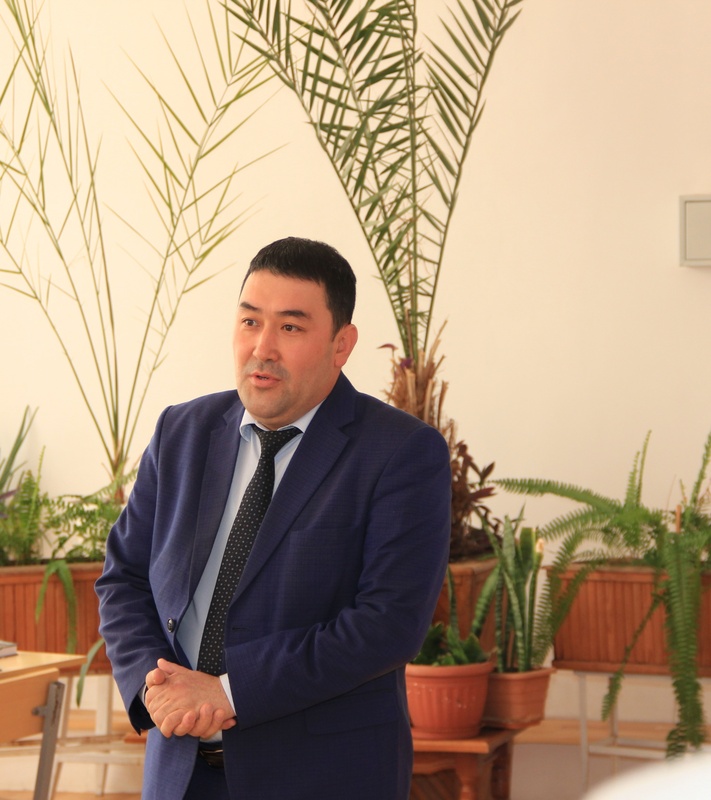 Zhasulan Turganbekovich Alpysbayev, the Vice-Rector for educational work, congratulated all students and guests and awarded the participants with certificates. 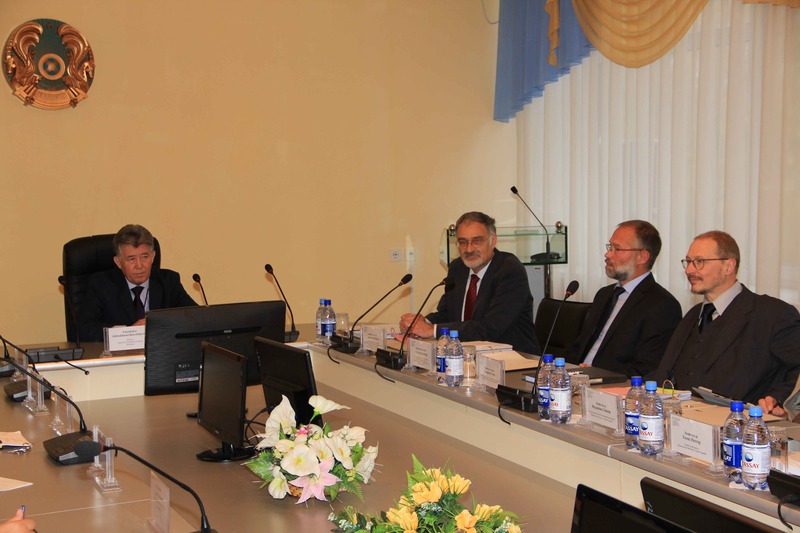 International accreditation is one of the strategic challenges in the Development Strategy of Rudny Industrial Institute for 2016-2019. The Institute scheduled international accreditation of 8 study programmes for 2016 to ensure public recognition of the quality of education at the Institute. The accreditation procedure was implemented by Accreditation, Certification and Quality Assurance Institute – ACQUIN (Germany). 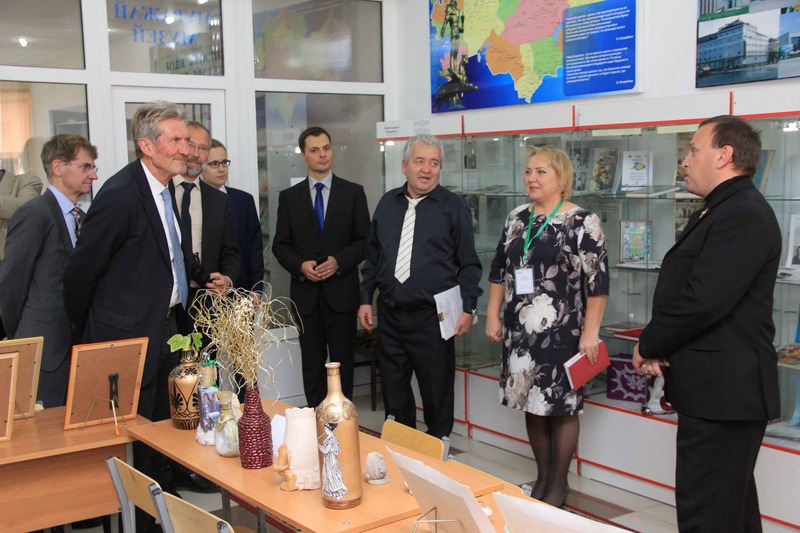 The group of experts visited Rudny Industrial Institute October 10-11, 2016 within the framework of accreditation activity. 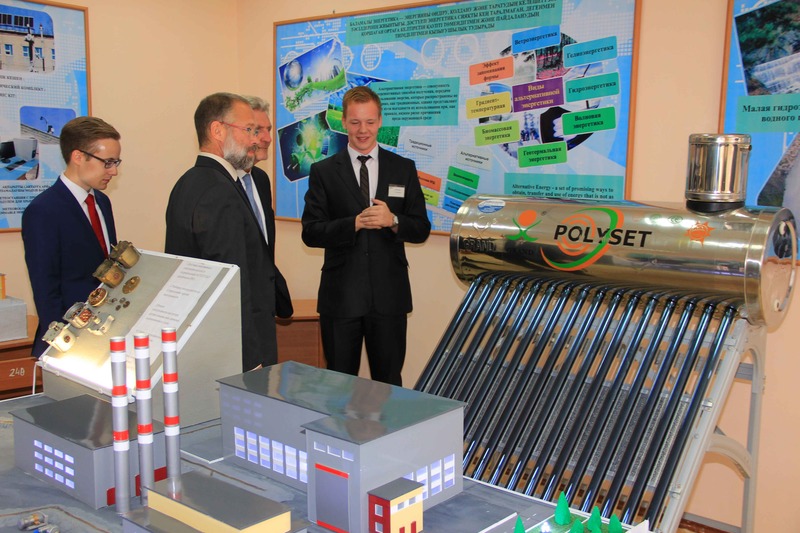 Professors, representatives of universities in Berlin, Hanau, Darmstadt, Fulda, Augsburg, Flensburg and Kleve, met with top-managers, teachers and students of the Institute; they got acquainted with the training and laboratory facilities, visited the offices of partner-enterprises (AО «SSGPO» and AO «Rudnyysokolovstroy»), participated discussion sessions with the graduates of the Institute. 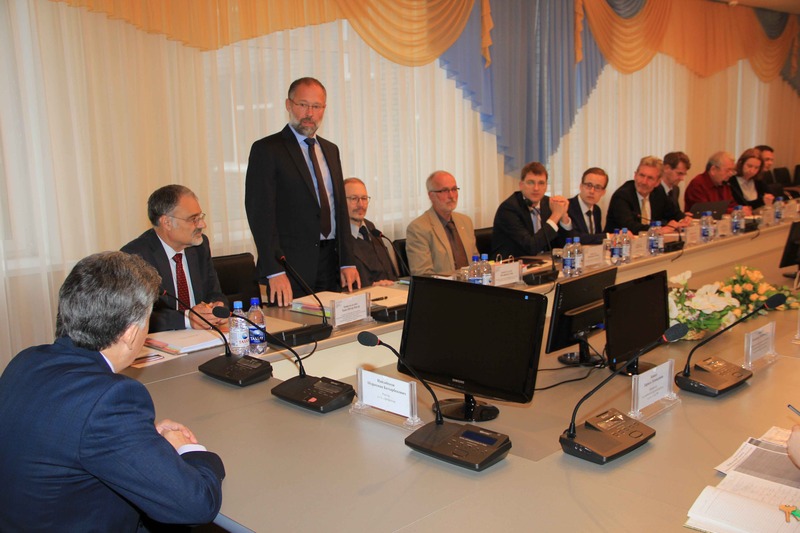 Experts highly evaluated achievements of the Institute, and noted significant contribution of partner enterprises in joint activity aimed at training highly qualified personnel. 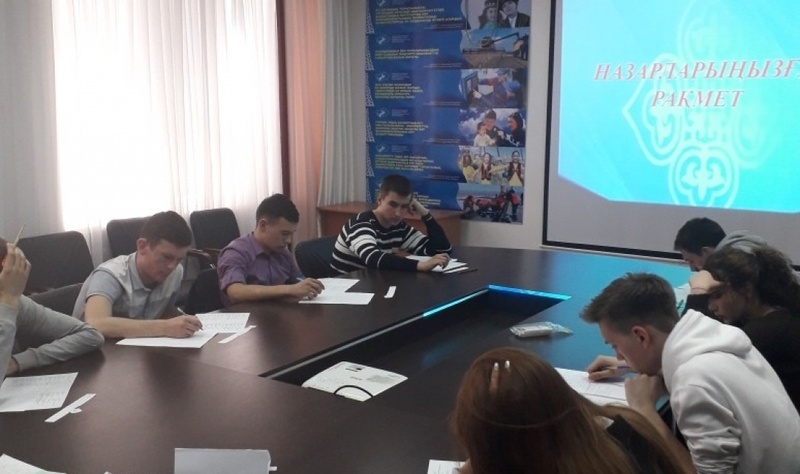 On September 21st, 2016 students of Rudny Industrial Institute participated in the round table discussion on «International exchange and cooperation programs: opportunities and prospects» and «Academic mobility programme». These events were supported by students having the experience of international exchange. Akkainar Zhanseiti, 4th year student in Professional Training (internship at the company of Elektromreza SRBIJE, Belgrade, Serbia). 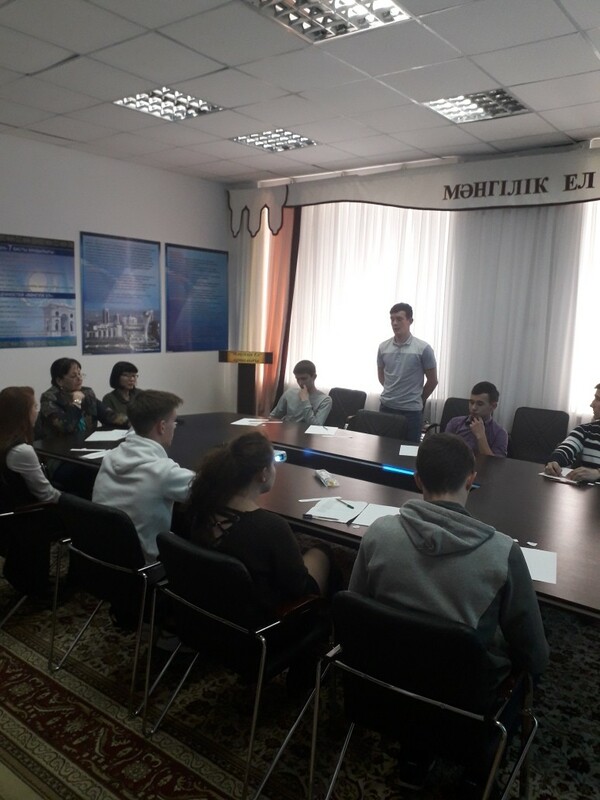 Students Dmitry Kuzmin and Anara Kenzhitayeva told about one semester training in Riga Technical Education, Riga, Latvia, in the framework of academic mobility programme. Incoming exchange students Sebastian Marcin Kulpa from AGH University of Science and Technology, Krakov, Poland, and Nahathai Chaisongkram from Khon Kaen University, Khon Kaen, Thailand, also made their presentations. They shared their research results implemented in laboratories of the Institute. academic building of the Institute. 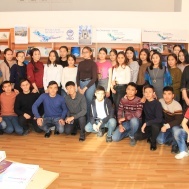 As part of a nationwide action of the Assembly of People of Kazakhstan “Caravan of Solace”, dedicated to the celebration of the 25th anniversary of Independence of Kazakhstan students Rudny Rudny Industrial Institute visited the orphanage May 6, 2016 for the elderly and disabled №2 and Rudniy orphanage.